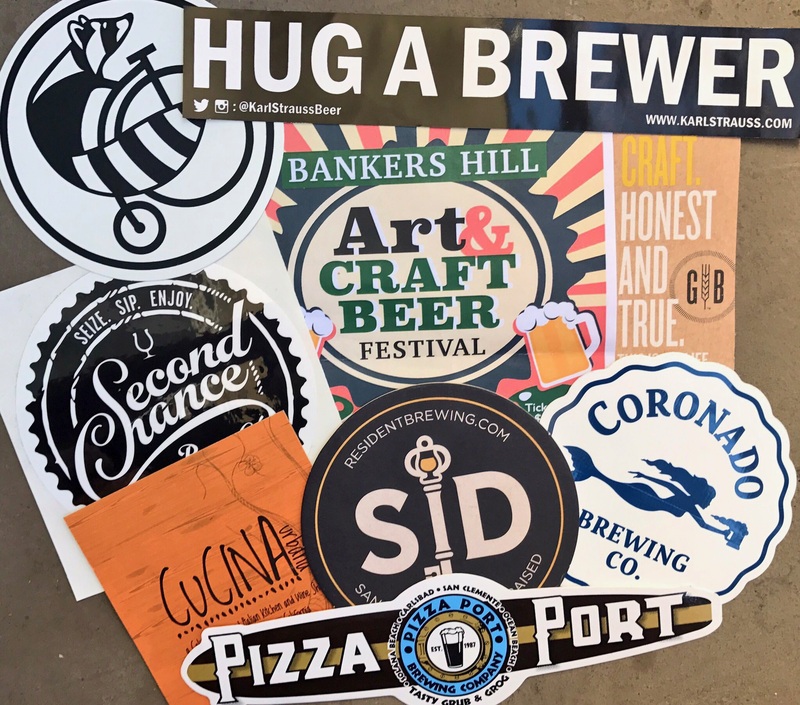 San Diego State’s Bryan Coburn, a student within SDSU’s Business of Craft Beer program, took what he has learned in the classroom into the field at the 5th Annual Bankers Hill Art & Craft Beer Festival at The Abbey on Fifth Avenue on Friday. Loaded with a bevy of local beers and bites, The Abbey, a 10,000 square foot venue, played host to north of 300 people in attendance to sample a diverse selection of San Diego breweries and Bankers Hill native restaurants. The city of San Diego, known for its slew of stunning breweries and equally tantalizing restaurants, was on full display at the well-attended event, allowing Coburn to seize the moment. Of the 15 breweries represented at the festival, Second Chance Beer Company and Karl Strauss were two of several select breweries to draw significant crowds to their tableside. Offering three different beers, Second Chance Beer Company drew local San Diegans in with their Belgian Style Golden Ale, but they kept coming to refill their two-ounce glasses with the brewery’s Rye IPA, a darker, bitter beer with a notable bite. Karl Strauss’ Aurora Hoppyalis IPA also made its way into a lot of glasses on Friday night, as its hoppy, smooth taste served as a positive surprise to a number of guests in attendance. Unlike a majority of the people filling their glasses, Coburn was able to understand each select pour on a much deeper, educated level because of the work he has done at SDSU. “I think [all of the beers] would taste the same if I didn’t know what I know about beer,” Coburn said. “I have learned so much about beer since starting the program, and I’m happy it’s helping outside the classroom. Coburn, however, didn’t limit his tongue to the range of beers present at Friday’s event, as he also took it upon himself to try a number of the samples prepared by Bankers Hill’s very own restaurants. Cucina Urbana, located at 505 Laurel Street, offered a tasteful mascarpone polenta topped with a savory ragu, leaving those nearby no choice but to take a break from the beer to dive into its creamy decadence. Pizzicato, a close neighbor to The Abbey on Fifth Avenue, had attendees waiting patiently for more samples of their thin-crust pepperoni pizza after they ran out of samples within the first hour of the three-hour event. “I’m not going to lie; I had more than a couple slices of the pizza,” Coburn said. Balancing beer with the array of awe-inspiring snacks, Coburn found it easy to enjoy himself at Friday’s event and plans to attend again next year if Bankers Hill pushes their annual total to six in 2018.